Calendar 2018 - Inspired Beverage Inc.
Consumer tasting featuring Rhum Agricole from Clement and Rhum JM! Consumer tasting featuring Spicy Margaritas with Tanteo Jalapeno Infused Tequila! Consumer tasting featuring Spicy Margaritas with Tanteo Jalapeno, Chipotle and Habanero Infused Tequila! Consumer tasting featuring Hochstader's Slow & Low Rye Whiskey! Consumer tasting featuring GrandTen distillery and Tanteo Infused Tequilas! Consumer tasting featuring Hochstader's Slow & Low Rye Whiskey and Grand Ten Medford Rum! Consumer tasting featuring GrandTen distillery Portfolio! Consumer tasting featuring Spicy Margaritas with Tanteo Jalapeno or Chipolte Infused Tequila! Consumer tasting & cocktail event featuring Chareau Aloe Liqueur and Roots Greek Spirits! 'apres ski' for fondue and foolery feature Absinthe drinks from Copper & Kings Distillery! Consumer tasting featuring Rhum Agricoles from Clement ! Celebrate National Margarita Day with Ilegal Mezcal cocktail tasting! Brent Elliott, Four Roses Master Distiller will be in-store at to share his insights on all things bourbon and Four Roses, to open several expressions of his bourbons, and to sign bottles. Reservations are not required for the reception, though they do expect a crowd. ​Consumer Whiskey event at Julio's Liquors with dinners, seminars and tastings. Featuring Four Roses Bourbons, Slow & Low Rock n' Rye and Copper & Kings American Craft Brandies! The 2016 Single Barrel Limited Edition "Elliott's Select"
There are only a few hundred bottles produced in each of these special releases, and it's a truly rare treat to be able to taste all of them together at one time. It's an even rarer treat to have a person so intimately involved in their production & selection to guide you through them. Our culinary team has put together a special 3-course menu to complement these outstanding bourbons. Beer and whiskey are the ultimate BFFs. Join us for a boilermaker party featuring Hochstader's Slow & Low Rock and Rye! Consumer tasting featuring Rhum Agricole from Rhum Clement and Spicy Margaritas with Tanteo Jalapeno, Chipotle and Habanero Infused Tequila! Consumer tasting & cocktail event featuring Merlet Cognacs & Liqueurs, Copper & Kings Brandies and Chareau Aloe Liqueur. Consumer tasting featuring GrandTen distillery South Boston Irish Whiskey! Consumer tasting featuring South Boston Irish Whiskey from GrandTen distillery! Rose All Day Trade Tasting at Winebow NY Office, Manhattan. This is a Trade Only tasting. Visit our Chareau Aloe Liqueur Table and sample the Chareau Aloe & Rose Cocktail! Cape Cod Wine & Spirits Trade Tasting at Chatham Bars Inn. This is a Trade Only tasting. Visit our Square One Organic Vodka Table and sample the new Bergamot! Are you ready to battle, accept the challenge? Join us for Tacos, Gifts, Prizes and Spicy Tequila Cocktails while watching the contestants in this Taco Eating Contest. ​Brought to you by Tanteo Tequila! 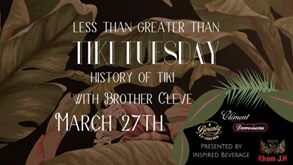 Tiki Tuesday w/ Brother Cleve at Less Than Greater Than. Join Brother Cleve for an in depth look at Tiki history. Class will be coupled with music and video, showcasing the origins and rise of Polynesian/Tiki restaurants and cocktails, the cultural influences that surged its growth and eventual decline, and into its rebirth in the 90’s. There will be Rum & Rhum tastings and all sponsored by Rhum Clement, Rhum J.M, Rhum Damoiseau and Bounty Rum! Consumer tasting featuring Egan's Irish Whiskey and Mad March Hare Poitin! 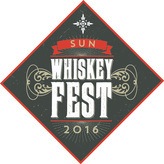 Sun Whiskey Fest promises to be a special festival for Whiskey lovers. Guests will be able to try new and old favorites of whiskey, scotch, bourbon and rye. Craft batch cocktails for those looking for something a little different will be available as well. Experts from many of the distilleries will be on hand to discuss their style of whiskey and other libations! Featuring Four Roses Bourbon and Hochstadter's Slow & Low Rock n' Rye! Consumer tasting featuring Rhum Clement, Chareau Aloe Liqueur and Merlet cognacs & liqueurs! Annual Consumer Whiskey Tasting event featuring Four Roses Bourbon! ​Square One Organic Spirits and Merlet Cognac & Liqueur tables. Consumer tasting featuring Bounty Rum and Roots Greek Liqueurs! Consumer tasting featuring White, Rose and Sparkling wines! Consumer tasting featuring South Boston's GrandTen Distillery portfolio! Consumer tasting featuring Roses' and Apero Sympa Fruit Infused wines! Consumer tasting featuring Tanteo Infused Tequilas! Consumer tasting featuring fine rhums from Clement! Rochester Cocktail Revival is back for year five! All things spirited and all for charity. Celebrate Cinco de Mayo with Ilegal Mezcal cocktail tasting! Consumer Tasting event featuring Copper & Kings Brandies and Four Roses Bourbon! Consumer tasting featuring fun South Africa wines from Radley & Finch! Grand Aperitif tasting featuring Roots Greek Liqueurs, Creme Yvette and Copper & Kings Absinthe! Consumer tasting featuring new arrival Spirits from our portfolio! Consumer tasting featuring Roots Greek Liqueurs! Consumer tasting featuring Spirits and Wines of our portfolio! Consumer tasting featuring Bounty Rums from St. Lucia! Personally guided art tours, Specialty tastings prepared by local chefs Cocktails and hors d’oeuvres Including a special “signature drink” for the evening! Exclusive photo op with photographer extraordinaire Nathan Fried-Lipski, Live music, Exclusive viewing of special silent auction items and all in support of this 40 year community primary medical care facility. Stop by our Inspired Beverage table for a great educational Rhum Agricole sampling with Rhum Clement! Consumer wine tasting featuring fine French Roses' and South African favorites! Consumer wine tasting featuring Apero Sympa and Xodo wines! Consumer tasting featuring Rhum Clement, Ilegal Mezcal and Hanson of Sonoma vodkas! Visit our House of Rum tables with Bounty Rum, Rhum Clement, Rhum JM, Rhum Damoiseau and Chairman's reserve rums. Consumer tasting & cocktail event featuring new arrivals to our portfolio! Consumer tasting & cocktail event featuring Bounty Rums from St. Lucia! Consumer tasting & cocktail event featuring three expressions of Wire Works Gin and the exquisite Silent Pool Gin! 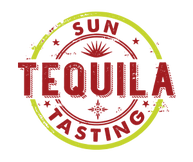 Consumer tasting & cocktail event featuring Ilegal Mezcal ! Consumer tasting & cocktail event featuring Bertha's Revenge Irish Gin and the exquisite Silent Pool Gin! Swizzle Sunday is a rotating lineup of all-stars in the industry who, each Sunday, join Jackson Cannon on The Hawthorne patio for a tiki-inspired cocktail party! Consumer tasting featuring Anestasia Vodka and Silent Pool Gin! It's the 12th Annual LIVE FREE OR DIE TATTOO EXPO! Loaded with Tattooing, Body Piercing, Pin-Up Pageant, Tattoo Contest, Suspension, Fashion Show and more! 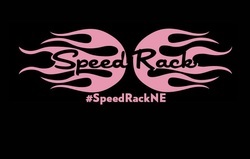 All three days sponsored by Hochstadter's Slow n' Low Rock & Rye whisky!! Consumer Gin tasting featuring Wire Works, Wire Works Rosé and Bertha's Revenge Irish Gin! Consumer wine tasting featuring Apero Sympa, Mirabeau Rosé and Fumees Blanche wines! Ilegal Mezcal Music Series present Music on the Mountain. JOIN US AT DEER MOUNTAIN INN FOR A RARE OPPORTUNITY TO SEE ALL THREE ROCK & ROLL BANDS PLAY A STRIPPED DOWN SET. AT DEER MOUNTAIN INN ALL WITH THE BEAUTIFUL BACKDROP OF THE CATSKILLS. Consumer tasting featuring Bounty Rum from St. Lucia! Consumer tasting featuring Roots Liqueurs from Greece! Consumer tasting featuring Wire Works Gins and Medford Rum from Grand Ten Distillery! The 3nd Annual Four Roses Cocktail competition at Oak Haven Table & Bar. 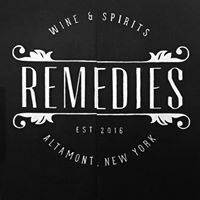 Consumer tasting & cocktail event featuring Hanson Organic Vodkas, Rhum Clement and Bertha's Revenge Irish Gin! Consumer Tasting event featuring Hanson of Sonoma Organic Vodkas! Consumer tasting & cocktail event featuring Hanson Organic Vodkas! Consumer tasting & cocktail event featuring Ilegal Mezcal & Bertha's Revenge Irish Gin! Consumer Tasting event featuring Sparkling Wines from France, Italy and Spain! Funk Fest Tasting Event is back! Visit our Inspired Beverage tables with unique spirits and wines from Distillerie Merlet, Bere Aran Cidre, Rattlesnake Rosie's, Chareau, Copper & Kings, Roots Greek Spirits and Apero Sympa wines! Consumer tasting featuring Apero Sympa Wines and Rattlesnake Rosie's Apple Pie Whiskey! Consumer tasting featuring the design award winning Anestasia Vodka! Consumer tasting & cocktail event featuring Roots Greek Spirits, Hanson Organic Vodkas and Egan's Irish Whiskies! Consumer Rum tasting featuring Rhum Clement and Bounty Rums! This is a Trade Only tasting. Visit our Four Roses Bourbon, Chairman's Rum, Hanson of Sonoma, Copper & Kings Brandy, Chareau Aloe Liqueur & Ilegal Mezcal tables. Visit the Inspired Beverage booth for the finest Rhum Agricole experience from Rhum JM. Fall Trade Tasting at the Stella 34 Trattoria. This is a Trade Only tasting. Visit our Hanson of Sonoma table for the finest Organic spirits. Consumer tasting featuring Bounty Rum from 3-5pm and Silent Pool, Vigilant and Bertha's Revenge Gins from 5-7pm! MS Walker-Rhode Island 2018 Fall Fine Wine & Spirits Experience at the Omni Hotel. This is a Trade Only tasting. Visit our Inspired Beverage tables for the finest craft spirits from Hanson of Sonoma, Copper & Kings Brandy, Chareau Aloe Liqueur, Chairman's Rum & Rhum J.M. Consumer tasting featuring Chareau Aloe Liqueur! Rhum Clement Tiki Tasting! Featuring great rhums for all kinds of Tiki cocktails! Consumer tasting featuring Bertha's Irish Gin! Consumer tasting featuring Caliterra and Amaris Wines! Consumer tasting featuring Bounty Rum from 1-3pm and Silent Pool, Vigilant and Bertha's Revenge Gins from 3-5pm! Fueled by more than 4,000 oysters from the best oyster farms throughout New England, and beverages from spirit and wine producers from across the globe, it's gonna be one helluva good time. Be sure to visit Ilegal Mezcal and Duxbury Prime Oysters for oyster pairings like you've never seen before! The 9th Annual Whiskey Road Show consumer tasting featuring Four Roses Bourbon, Slow & Low Rye, Magnus Bourbon, Egan's Irish Whiskey, and many more! Join Four Roses Bourbon, Jos. A Magnus and many more great whiskies from the Inspired Beverage portfolio! Consumer tasting featuring Tanteo Spicy Tequilas! Spirit-ual Experience returns! Join us at the Inspired Beverage tables for sampling of Four Roses Bourbons, Magnus Bourbons, Egan's Irish Single Malts, Silent Pool Gin, Clement Aged Rhum and more! This Whiskey Wednesday is featuring the Jos. A. Magnus bourbons including Murray Hill Club and two Private Single barrel selections from Gordon's collection! A special El Dia de los Muertos tasting featuring Ilegal Mezcals and Don Pilar Tequilas! Inspired Beverage takes over with a special tasting of unique liqueurs from around the globe! Explore the wonderful world of Rhum Agricole with Rhum Clement and Rhum J.M! Consumer tasting featuring Silent Pool and Bertha's Revenge Gins ! Grand seasonal Tasting with great selections from the Inspired Beverage portfolio! Grand Opening Tasting with great selections from the Inspired Beverage portfolio! Consumer tasting featuring Slow & Low Rock n' Rye! Consumer tasting featuring Iron Smoke Bourbon and Rattlesnake Rosie's Apple Pie Whiskey! Anniversary tasting featuring great selections from the Inspired Beverage portfolio! This Whiskey Wednesday is featuring Turkey friendly whiskies for the holiday. Why eat apple pie when you can drink Rattlesnake Rosie's Apple Pie Whiskey! Don't laugh, this is the real deal! Join Kinsey Whiskies, Jos. A Magnus Bourbons, Connacht Brothership and many more great whiskies from the Inspired Beverage portfolio! Consumer tasting featuring Roots Greek Liqueurs and Rattlesnake Rosie's Apple Pie Whiskey! Sample expressions from Four Roses, Lock Stock and Barrel, Copper & Kings, and Joseph Magnus during a Bourbon, Rye and Brandy tasting and educational seminar. Consumer tasting featuring great ciders from Sheppy's and Bere Aran! Join us as we explore the complexity and nuances of the elegant Silent Pool Gin! Consumer tasting & cocktail event featuring selections from the Inspired Beverage portfolio! A special tasting with the award winning and most uniquely bottled Anestasia Vodka! Join Kinsey Whiskies, Jos. A Magnus Bourbons, Four Roses Bourbon and many more great whiskies from the Inspired Beverage portfolio! This Whiskey Wednesday is featuring Four Roses bourbons including Private Single barrel selections from Gordon's collection! A special tasting with the Rums of Spiribam featuring Clement Select Barrel, Clement Mahina Coco and all the Bounty Rums from St. Lucia! Consumer Holiday tasting & cocktail event featuring selections from the Inspired Beverage portfolio! A special tasting with the award winning and most uniquely bottled Anestasia Vodka and Silent Pool Gin! Consumer tasting featuring Cannella Fernet, Roots Greek Liqueurs and Rattlesnake Rosie's Apple Pie Whiskey! A special tasting with the award winning and most uniquely bottled Anestasia Vodka, Bertha's Revenge Irish Gin and Silent Pool Gin! Consumer tasting featuring Four Roses Single Barrel and Rattlesnake Rosie's Apple Pie Whiskey! Holiday tasting featuring great selections from the Inspired Beverage portfolio! A great tasting featuring the Don Pilar Tequilas! Special tasting of Roots Greek Liqueurs alongside great ciders from Sheppy's and Bere Aran!